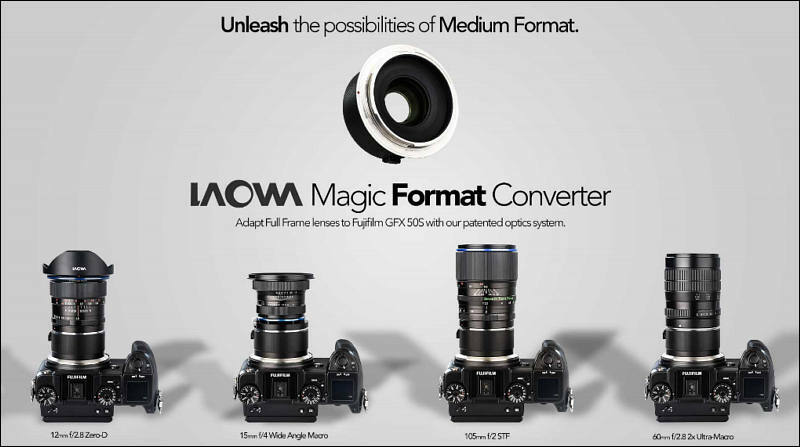 Venus Optics, the camera lenses manufacturer who had previously launched a number of unique Laowa camera lenses, is proud to announce the Laowa Magic Format Converter (MFC), the world’s first Fujifilm GFX adapter with optics for Canon/Nikon Full Frame lenses. The patented optics system inside the MFC will enlarge the image circle of any full frame lenses and fit it onto the relatively larger Fujifilm GFX- 50s camera sensors. 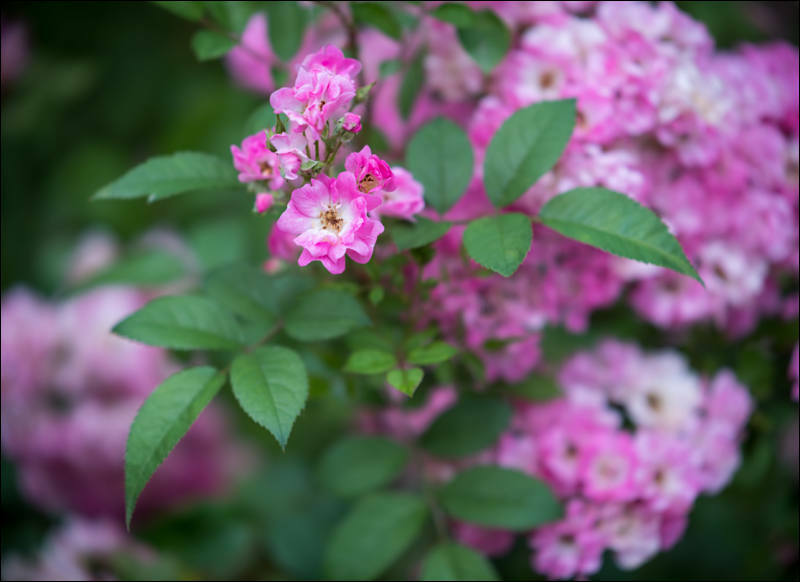 It has a focal length multiplier of 1.4x and reduces the maximum aperture by 1-stop. The Laowa Magic Format Converter (MFC) is different from the simple GFX adapter existing in the market. The GFX adapter currently available in the market simply adapts the Canon/Nikon lenses onto the Fujifilm G-mount body with no resizing on the image circle. However, due to the relatively smaller image circle of Canon/Nikon full frame lenses, most of the them are not able to completely fill the Fujifilm GFX sensors, resulting in a vignetting (Dark Corners) or heavily degraded peripheral sharpness in the images. Our Magic Format Converter (MFC) took advantage of the short flange distance of mirrorless cameras and incorporated a patented optics system to expand the image circle of the lens without compromising the image quality. The enlarged image also corrects the vignetting and maintains the optical performance of your lens in the medium format system. 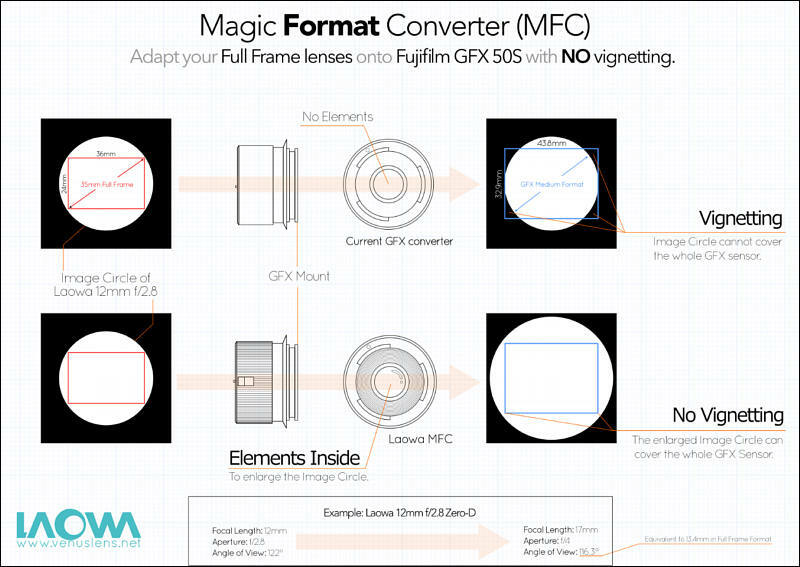 The Magic Format Converter (MFC) is particularly useful for ultra-wide angle lenses. Vignetting tends to be stronger when we adapt an ultra-wide angle full frame lenses onto the GFX sensors. By using the MFC, GFX users will be able to enjoy an ultra-wide angle of view without the need to crop away all unusable corners of the images. When the MFC is used with our Laowa 12mm f/2.8 Zero-D lens, it will become a roughly 17mm f/4 lens in GFX-50S. The angle of view will be around 116° (equivalent to appr. 13mm lens in 35mm format), making it one of the widest lens available for the GFX system. The MFC opens up a lot more ultra-wide angle lens options for the new Fujifilm GFX camera and increases the compatibility of full frame lenses to the Medium Format cameras. The Laowa Magic Format Converter (MFC) will come with 2 variants, Canon EF to Fujifilm G & Nikon AI to Fujifilm G. They are expected to start shipping in July 2017. Pricing will be announced later. More sample images in RAW and JPEG format can be found in the dedicated page of our official website.